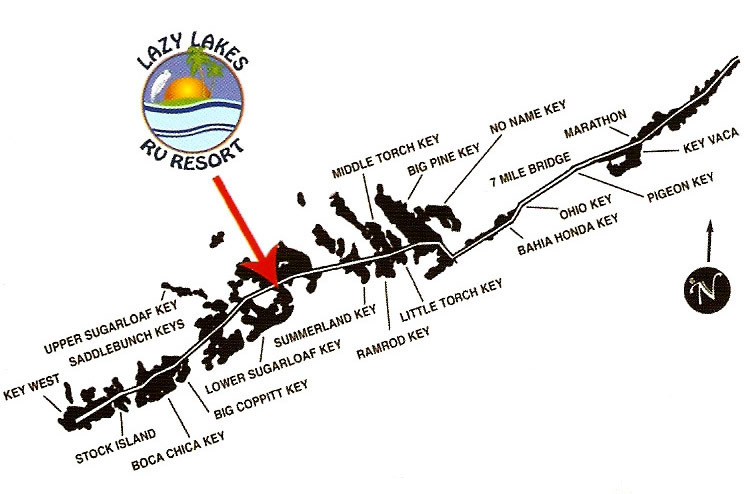 Lazy Lakes RV Resort is located at mile marker 20, in between Marathon and Key West. From Key West: Take US1 North. Just past MM 20, turn right onto Johnson Road. Lazy Lakes Rv Resort is at the end of Johnson Road. From Marathon: Take US1 South. Just past Mangrove Mama's, turn left onto Johnson Road. Lazy Lakes RV Resort is at the end of Johnson Road.